MOSCOW, Russia -- Russia's state-owned gas giant Gazprom and Ukraine's national energy company Naftogaz have agreed that Ukraine can pay for Russian gas not only in dollars, as stipulated by the current contract, but also in rubles, Gazprom said in a statement late Monday. "Gazprom and Naftogaz have signed an appendix to the current gas supply contract. 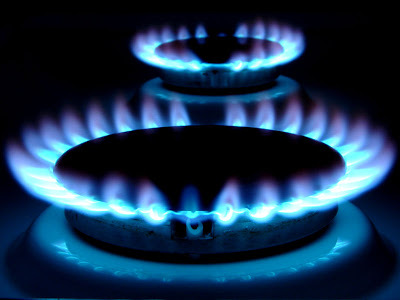 The appendix allows Naftogaz Ukrainy to make payments for supplies of Russian gas also in rubles," the statement said. The National Bank of Ukraine in November suggested switching to ruble payments for Russian gas. The move would allow Ukraine to ease mounting pressure on the local currency, the hryvnia, which has been suffering from the widening current account deficit this year, the bank said at the time. Gazprom's statement also reiterated that new agreements on supplies of Russian gas to Ukraine may be reached by end 2011. Kiev has been trying for months to renegotiate its deal for Russian gas, seeking a lower price, but with no tangible results. The current agreements on supply of Russian gas to Ukraine and via the country to Europe signed in 2009 expire end 2019. Ukraine is buying Russian gas for about $401/1,000 cubic meters in the fourth quarter of 2011, compared with $355/1,000 cu m in Q3, $297/1,000 cu m in Q2 and $263/1,000 cu m in Q1, according to Naftogaz. The prices include a discount of $100/1,000 cu m that Ukraine got in April 2010 for allowing the Russian navy's Black Sea Fleet to be stationed in the Crimean peninsula for another 25 years through 2042. In mid-November, Ukraine's Prime Minister Mykola Azarov said Kiev would save about $500 million/month, or $6 billion/year, after signing the new gas deal with Russia. Azarov's comment suggests that Kiev has been seeking to lower the gas price roughly by 50%. Ukraine plans to import 40 billion cubic meters of gas from Russia in 2011, up from 36.5 Bcm imported in 2010, according to Naftogaz. In 2010, Russian gas supplies via Ukraine to Europe reached 95.4 Bcm, up 2.8% from 92.8 Bcm in 2009. The recent launch of the 27.5 Bcm/year Nord Stream pipeline, which runs across the Baltic Sea linking Russian and German gas pipelines, has reduced Russia's dependence on Ukraine for gas transit. "At the current level of gas demand, the volumes will be redirected from the Ukrainian route [to Nord Stream]," Gazprom Export's deputy head Sergei Chelpanov said in early November. He did not, however, rule out increase in gas transiting through Ukraine if demand in Europe grows.